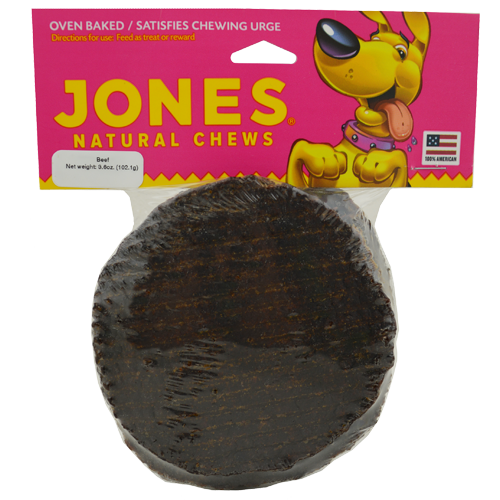 Jones has created a natural beef burger for your dogs enjoyment, twice as thick as our Woofer. Bark Burgers Beef Blend is a soft, chewy, yummy, treat for all size dogs. As always, our products are 100% grown and made in the USA. Beef, beef lung, vegetable glycerin, dried cultured skim milk, liquid smoke flavoring, vegetable oil, mixed tocopherols (preservative), lecithin, rosemary extract.